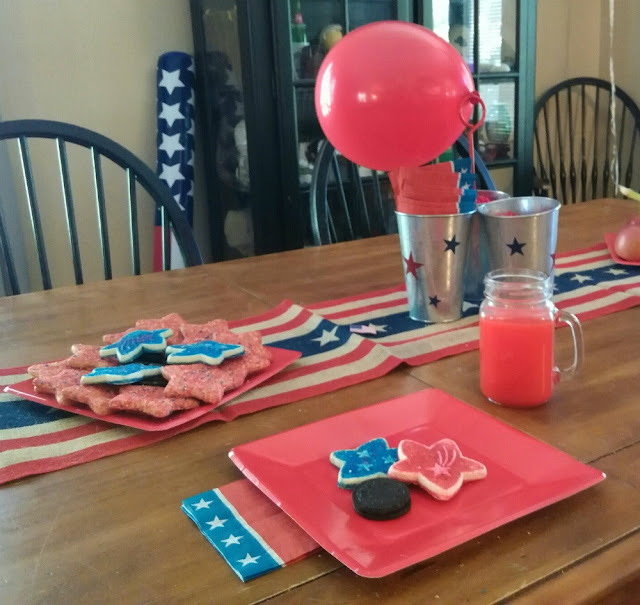 Red, white, and blue decorations make these fun patriotic party ideas and activities special! If you are looking for simple party decor for an indoor or outdoor party, these star spangled holiday decorations fit the bill. We found gorgeous Fourth of July bunting and more from Oriental Trading. 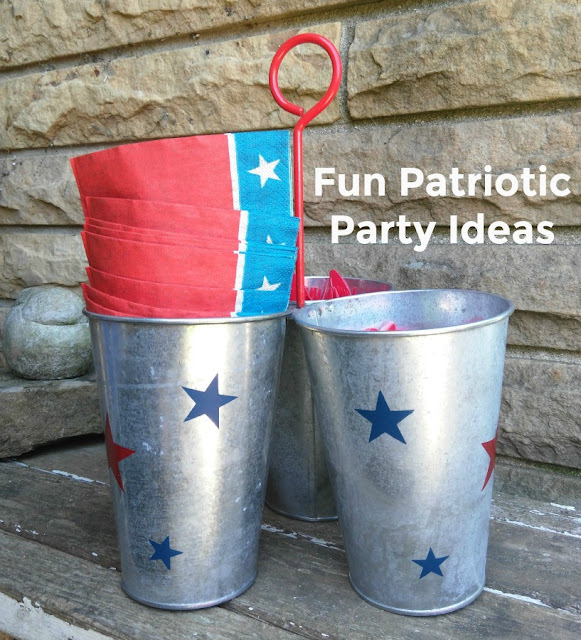 Read on for ideas and activities for a patriotic theme party that works for birthdays, Memorial Day, Veteran's Day, Labor Day, or Independence Day celebrations and backyard barbecues. Enjoy! This post contains affiliate links and was sponsored by OTC. Oriental Trading gave us our choice of products for review for this party post. The kids have summer birthdays just before and after the Fourth of July. American flag theme decor decorates our rustic country living and dining room, so these items are a welcome compliment to the decor. With the great prices at OTC, you will be ready to celebrate a party or backyard barbecue without breaking your budget. What says Independence Day more than red, white, and blue bunting? Okay, fireworks do, but the second best answer is definitely bunting. 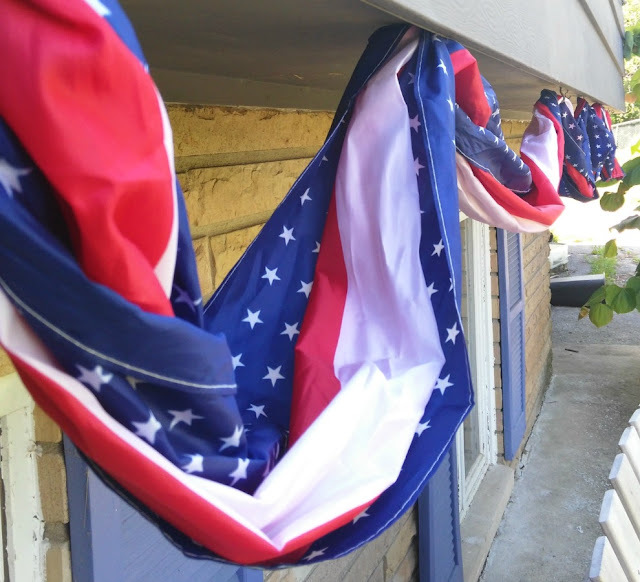 We found several kinds of bunting for decorating for a patriotic party. Below, the flag bunting is durable and outdoor friendly. Tie knots every few feet to give it and old-fashioned flair. 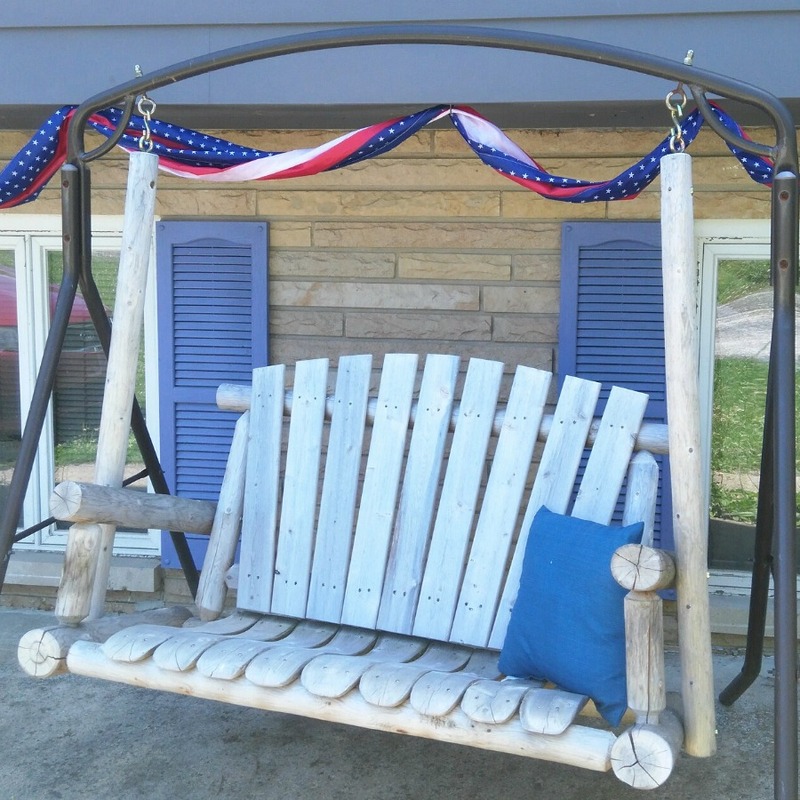 Outdoor red, white, and blue bunting for Fourth of July party decor. Hang bunting in a twisted swag for a simple outdoor holiday decoration. 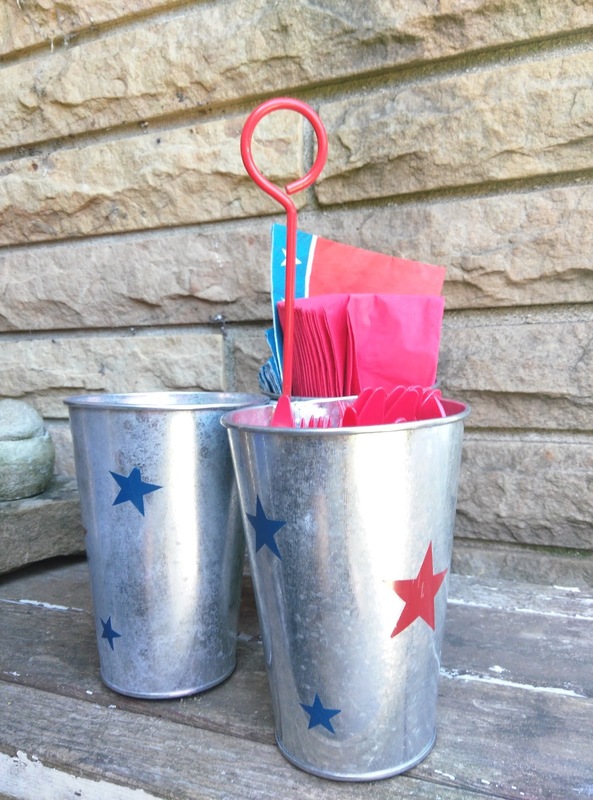 Galvanized buckets make a festive flatware caddy. 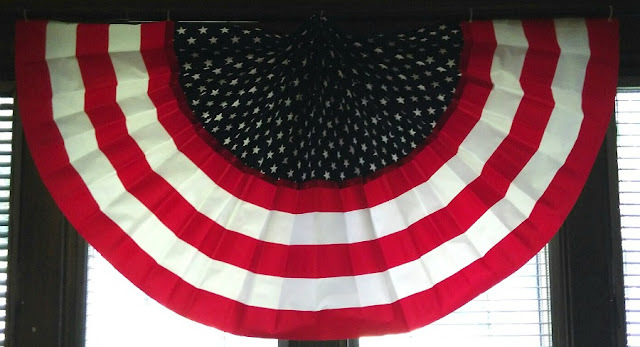 Traditional Fourth of July bunting used as a window valance. Rustic American flag burlap table runner. 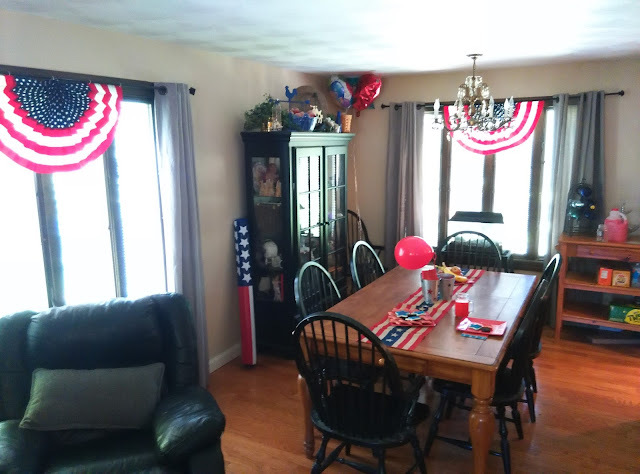 Americana dining room with red, white, and blue holiday party decorations. Most Independence Day parties involve fun outdoor activities. 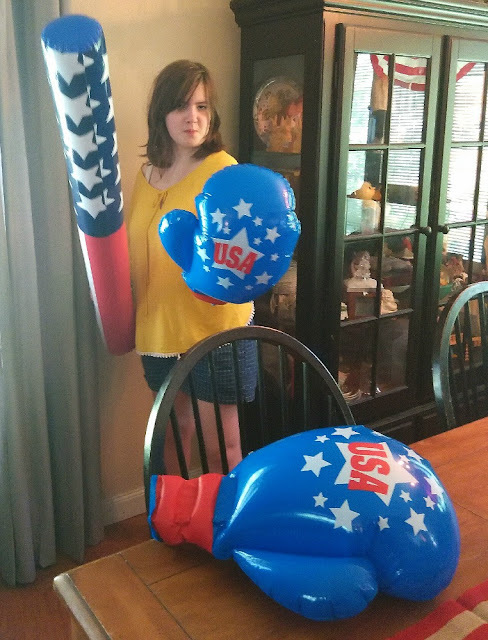 We found patriotic inflatable pool noodles (perfect for pool jousting) and inflatable USA boxing gloves. Mayhem is ready to rumble. Inflatables for fun Fourth of July party activities. 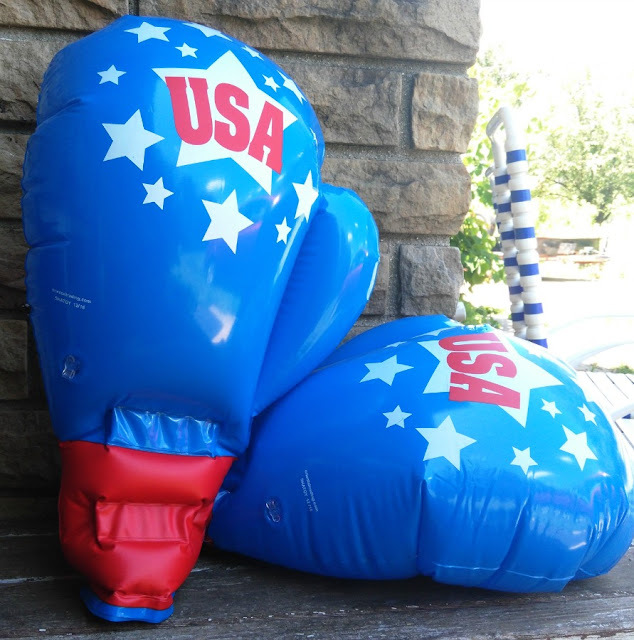 Fun, inflatable boxing gloves from Oriental Trading. No outdoor party is complete without a bounce house. 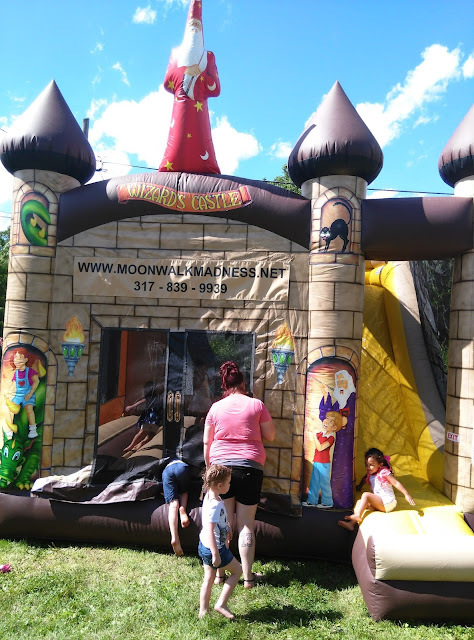 You can purchase small ones for the backyard from OTC or go all out with a big bouncy castle like this one from Moonwalk Madness in Plainfield, Indiana.